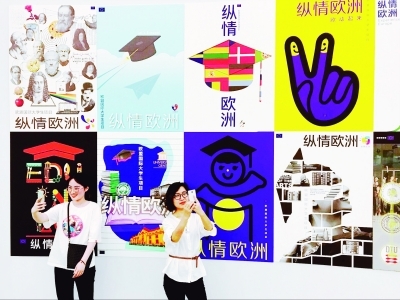 A new exhibition showcasing works by 54 young Chinese artists exploring the theme of “EU Diversity” was unveiled at Nanjing University of the Arts today. Following a three-week immersion workshop on European art, this group of art students from across China presented nearly 350 poster designs reflecting their own interpretations of Europe to an audience including EU Ambassador to China Hans Dietmar Schweisgut. The Ambassador also presented awards to 8 winners from the group who will have the chance to deepen their creative dialogue with Europe through a study tour of EU arts hubs this summer. The exhibition and EU-China Art Design Workshop are part of the “ExperienceEurope” campaign to increase understanding of the EU among the Chinese public through social media outreach and cultural exchange events. This two-year campaign was launched in May by the Delegation of the European Union to China. The workshop and exhibition were held at the oldest art university in China, Nanjing University of the Arts, in partnership with the Institute for Communication and Design Berlin. Over three weeks, 54 art students worked with European and Chinese art professors on intensive study of European artistic heritage. Drawing on inspiration and techniques gained from the workshop, the students created original poster designs that reflected their own interpretations of EU diversity in eight different aspects, namely culture, lifestyle, cuisine, sport, trade, innovation, environment, and education. 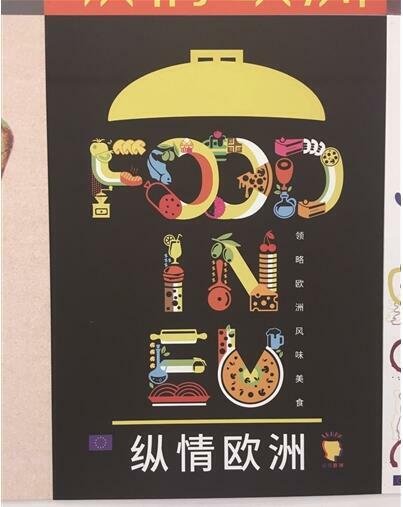 A selection of the 347 designs created by the students will be used in the #ExperienceEurope campaign to encourage Chinese people, especially young students, to learn more about the EU and build closer ties with Europe. Thanks to the “ExperienceEurope” campaign, winners of the design contest will be given a unique chance to study, work and travel in the EU this summer, learning more about European art and design from creative professionals and experiencing European cities such as Berlin, Paris, Rome, and Brussels. “This contest is an excellent example of how artistic and creative projects can help to deepen relationships across borders,” said Prof. Wu Lieyan from Nanjing University of the Arts. Professor Prof. Heinz Jürgen Kristahn, founder of the Institute for Communication and Design Berlin, also emphasized the contribution of the event to enhancing EU-China cultural exchange and overall bilateral relations.